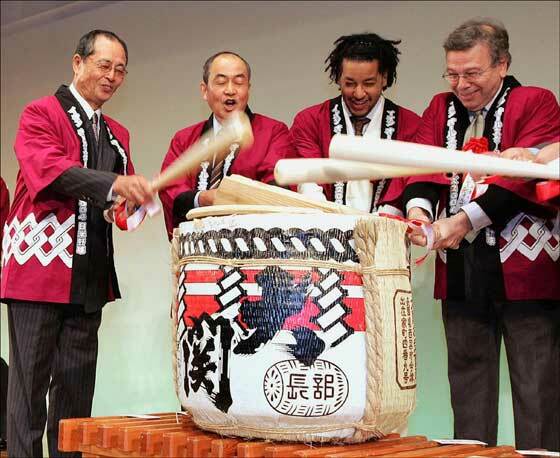 Manny Ramirez attends a sake barrel opening ceremony along with Japanese baseball great Sadaharu Oh (L) at a welcoming party at a Tokyo hotel. In keeping with tradition, Kevin Millar (not pictured) is cleaning the shot glasses in preparation for the ceremonial swig of sake before the Japan exhibition series this week. Submit your photo caption here.